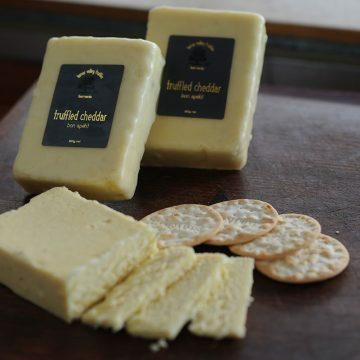 View cart “Tasmanian Truffled Cheddar 200g” has been added to your cart. Treat yourself (or that special someone in your life) to an indulgent Gift Box that contains our top selling products, for a special price of $69.95! 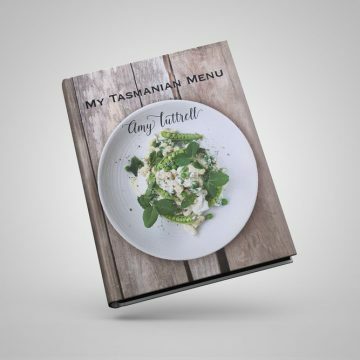 Containing our delicious Truffled Oil, Truffled Tasmanian Sea Salt and a choice of Truffled Mustard OR Creamed Truffle Honey, it’s sure to satisfy those taste buds. 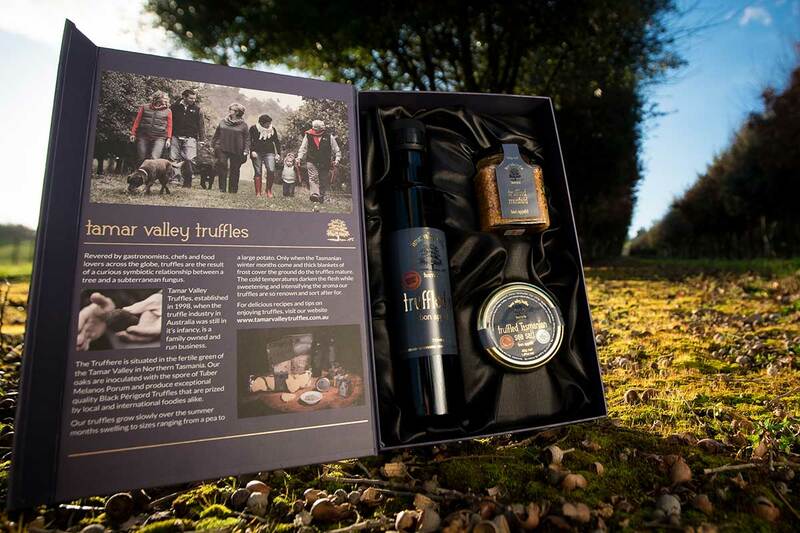 It’s a perfect present for Mother’s Day, Father’s Day or any special day, in a gift box that’s ready for wrapping. 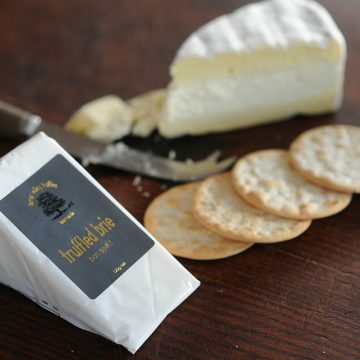 Our Tasmanian Truffled Brie has been lovingly handcrafted to a high standard by Rod Wyker, a specialty cheese maker of 30 years. For a limited time, we're offering FREE SHIPPING when you order over $200 worth of products!